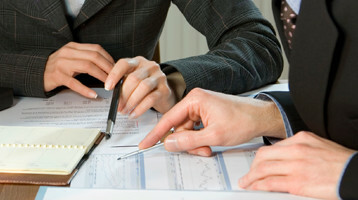 Tax and Accounting: We offer proactive strategies to help reduce your overall tax expense. Whether your company is a growing corporation, Subchapter S or C, LLC, Partnership, or a thriving at home business, we help ensure your taxes are accurate, honest, and timely with the maximum tax savings legally allowed. Small Business Consulting: We provide financial statement analysis to help you understand the story your business has told so far and make recommendations. If your business is just starting, we can help with budget planning and provide input on policies and procedures to get your company off to the right start. IRS Representation: If yours is a tale of woe due to IRS issues, we have the experience to act as your intermediary. Navigating the complex rules of the IRS can be intimidating; you need a trained professional by your side every step of the way. Fraud, Theft, and Forensic Accounting: No story wants to include fraud or theft. Let us help you reduce your chances of becoming one out of every three businesses victimized by fraud or theft each year. We can help you to put policies and procedures in place that help to prevent fraud before it occurs. If you already suspect fraud, we can help determine the extent of your losses and write procedures to reduce future ones. Trusteeships: Many stories are so successful, a trust is often advantageous. We have the knowledge to help you manuever the complex circumstances of trusts and trust accounting. Financial Statements and Analysis: Every transaction is a part of your story. We use your transactions to create meaningful financial statements We can provide you an analysis to show your areas of strength, weakness and provide direction. Quickbooks Pro Advisors: At Selander, we utilize Quickbooks to keep track of of our own financial story. Many of our clients use Quickbooks as well. It’s a systematic way of tracking every transaction for your business. We are Quickbooks ProAdvisors and can help you to set-up or navigate Quickbooks so transactions are entered right the first time. Cash Flow Analysis: Ever wonder where the money goes? Cash flow is critical to every successful business. We can provide a cash flow analysis to answer that question and help you make decisions to improve your cash flow. Budget Creation and Analysis: Plan the direction you want your story to take. We can help create a budget for your business that reflects your goals for creating revenue and managing what expenses. need to be in order to reach your objectives.